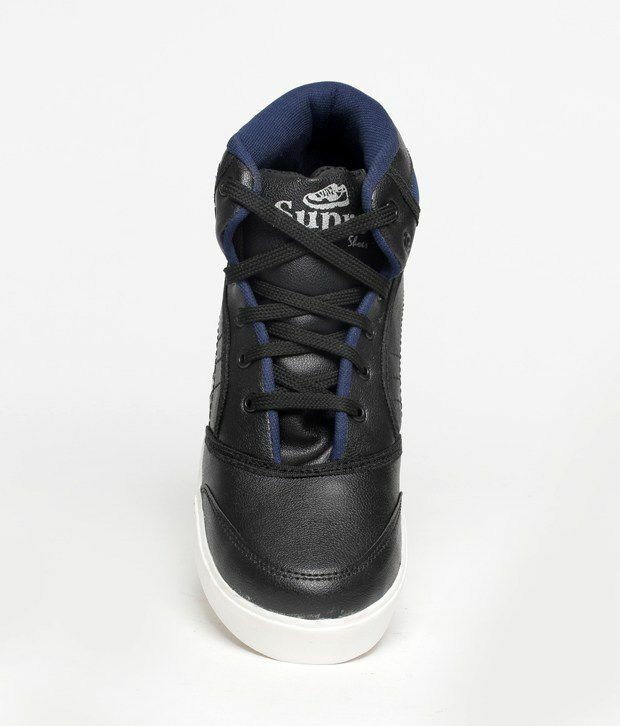 The Kohinoor black high ankle length sneakers for men available at the price of only Rs.499 .Benefit of 50% discount on purchase of this shoe that originally cost Rs.999 from snapdeal.com. They are black and white in color that has a high rising on the angle that fulfills two needs. One is comfort and the other is style. This shoe can be worn for your daily needs and any casual outings. A very classy and comfortable fit of this shoe. How to get this Kohinoor Black High Ankle Length Sneakers at discounted price of Rs 499? You can call these shoes are a great fit with the best of comfort. They are light weight and smart. A very well priced shoe. This is a perfect shoe to be matched with any of your outfits. An easy going shoe that makes your feet very comfortable. Need to stand for long or dance all night through in a disc- All you need is this shoe. its looking so nice, i odered this one. Now i m waiting for dis..